A lot of things about The Crown clicked into place as I watched “Gelignite.” While most Netflix original series take advantage of the binge-watch model to tell hyper-serialized stories, The Crown takes the opposite approach. Each episode functions almost as a mini-movie. And that’s true not only of the episodic, relatively self-contained storytelling, but of the tone as well. “Hyde Park Corner” is a dreamy travelogue, “Act Of God” is a suspenseful thriller, and “Smoke And Mirrors” is an opulent, heightened drama. With its bright colors and sweeping montages, “Gelignite” takes its cues from a romantic melodrama as it dives into the tragic love story of Princess Margaret and Group Captain Peter Townsend. In other words: “Gelignite” is the most Downton Abbey-esque episode of The Crown yet, with a touch of Jane Austen as well (Elizabeth is definitely Elinor to Margaret’s Marianne). It’s not an entirely self-contained story, of course, as the Margaret/Peter affair has been hanging around the edges of the series since the premiere. But I like the decision to dedicate a full episode to the doomed romance rather than continue to parcel out bits of drama throughout the season. “Gelignite” isn’t solely concerned with the private lives of the Windsors (the Windsors can’t really lead lives that are solely private), but it’s the most personal episode yet. And best of all, it finally allows Elizabeth to take centerstage in her own series. There’s a lot of ambiguity around Elizabeth’s actions in “Gelignite” and while I disliked that in “Act Of God,” where I felt her story didn’t quite have enough room to explore that ambiguity, it works far better in this episode where it’s front and center. When Margaret giddily asks for her sister’s permission to marry, Elizabeth is faced with a particularly personal conundrum: Allow a marriage that will make her sister happy but risk bringing controversy to the royal family, or delay the marriage, which will protect her own position but hurt her sister. So far The Crown has contrasted stories about Elizabeth the person, Elizabeth the Queen, and Elizabeth the wife, but here we get to see a new side of Elizabeth’s personality: Elizabeth the sister. I’ve always been a sucker for stories about sisters so in many ways I’m predisposed to like “Gelignite.” Elizabeth and Margaret live in an unusual world and the rigmarole it takes just to place a phone call to one another emphasizes that. But there’s clearly a real closeness between them as well. They’re both happy to take each other’s calls (complicated as it is for their staff to place them) and Elizabeth’s initial assertion that she won’t oppose the marriage seems genuine. But the caveat that she must “take advice” winds up being Margaret and Peter’s downfall. Because just about everyone else is against the match. 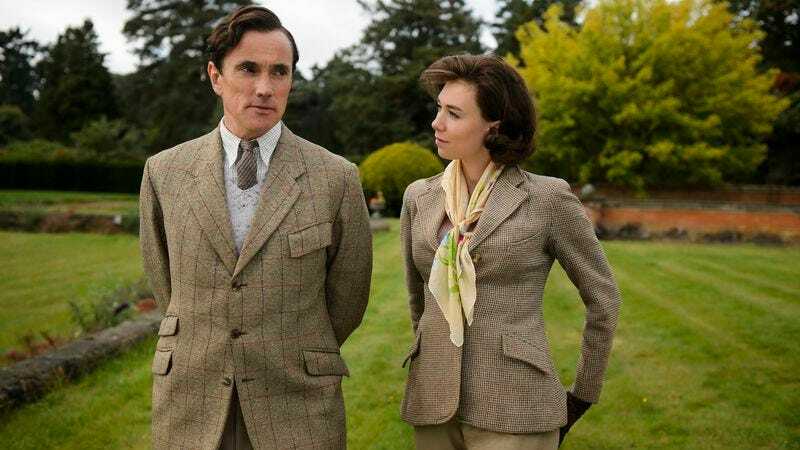 Philip finds Peter too old and dull while the Queen Mother and Tommy Lascelles (who continues to be one of my favorite characters) worry that officially approving the marriage will reflect badly on Elizabeth. Better to wait for two years until Margaret is 25 and she doesn’t need royal approval to marry. Despite assuring Margaret that she’ll fight for her, Elizabeth doesn’t need too much of a push from Tommy and her mother to change her mind. To her credit, Margaret isn’t entirely unwilling to compromise when it comes to her relationship. She agrees to the delay, as bummed as she is about it (the fact that she and Peter will have to live in separate countries until the two years are up seems to be the real kicker), and then it’s just a matter of small indignities slowly wearing her down: Margaret asks that she and Peter still be allowed to take their much-anticipated trip to Rhodesia; Elizabeth denies that. Elizabeth promise the love birds will get some time together before Peter is shipped off to Brussels; she then winds up denying that too. Looking back, there’s not really a lot that happens plot-wise in “Gelignite.” We’re mostly just waiting for the other shoe to drop in a relationship that seems doomed from the start (Margaret makes the mistake of openly proclaiming how perfect her life is at the start of an episode of TV). But The Crown makes up for that with particularly lush visuals and stunning production values. The episode even creates an elaborate Rhodesian locale just to use it as the backdrop for a single phone call. Coronation derbies, telephone calls, international trips, and breaking news are rendered through montages that emphasize the bureaucracy and formality of royal life. Elizabeth is clearly much more comfortable in her role than she was at the beginning of her reign, but the pomp and circumstance around her is no less rigid. Those montages also serve as a reminder of just how removed Elizabeth is from everyday life. She may represent a new era for the monarchy, but she takes advice from those still thinking about the old one. And she proves that, like every monarch before her, she’s not as infallible as her holy titles would suggest. The most interesting part of this episode is Elizabeth’s trip to Northern Ireland, which reveals a petty, unlikable side of the queen. She brings Peter along as a sign of solidarity with her future brother-in-law. But his newfound celebrity—he’s met at the airport with a zeal usually reserved for British pop stars—proves to be too much for her. Part of the problem is that Peter seems to enjoy the attention a little too much (he even has the gall to smile and wave at the crowd!). But the bigger problem is that Elizabeth doesn’t like sharing the limelight. She grows frustrated as news coverage switches from discussing her to discussing Peter. Sure she wants to protect the solemnity of the crown, but it’s also clear that she’s jealous of the attention Peter is getting and how happy he is about it. By the time he’s casually using her pet name “Lilibet,” Peter has sealed his fate. 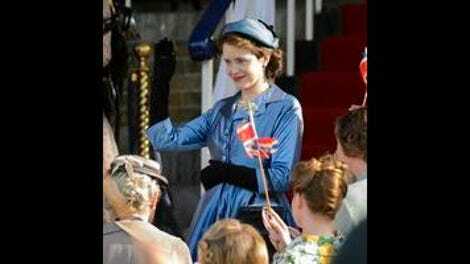 Elizabeth sends him away immediately, denying him his final few private days with Margaret. And she leaves the dirty work to Tommy, distancing herself from her own cruelty. There’s an air of Greek tragedy around “Gelignite.” In rushing to protect the crown from a potential scandal, Elizabeth winds up creating one. Peter correctly identities that public sentiment has swung in favor of Margaret and Peter, not against them. Splitting them up makes the crown look harsh and old-fashioned. It challenges the idea that Elizabeth is a modern monarch for a new modern era. And it sends a seismic rift through Margaret and Elizabeth’s relationship. “Gelignite” has the smallest, most personal stakes of any episode of The Crown yet. But isolating Peter and Margaret’s story in its own episode allows those stakes to feel as monumental as they feel for the royal family. This is Elizabeth’s first big blunder. And as is so often the case when it comes to our politicians, it’s as much about personalities as it is about politics. In real life, Margaret brought up the issue of marrying Peter as Elizabeth was preparing for her coronation, not after it. As she did in the premiere, Elizabeth continues to emphasize that she totally sees the appeal of Peter Townsend. Like sister, like sister. This episode also sets out to explore the shifting relationship between the Windsors and the press. Paul Thornley (a.k.a Harry Potter And The Cursed Child’s Ron Weasley) plays a reporter who first picks up on the Margaret/Peter affair when he sees her pick a piece of fluff from Peter’s jacket. He feels justified in publishing the gossipy story because the Queen invited cameras into her coronation first. Philip has become something of a party boy. He’s now regularly dashing off to boozy meals at his club, leaving Elizabeth to look forlornly out of windows. Edward and Wallis get a great villain moment as they viciously laugh over Elizabeth’s bad press. It wasn’t until rewatching this episode that I even realized Philip was on the Northern Ireland trip too. Matt Smith really blends into the background, which I suppose is Philip’s job. I loved the awkward, frantic little curtsey the telephone lady gives Elizabeth in the barn. That would definitely be me if I had to curtsey before royalty.